1 Million for Work Flexibility has more than 90 organizations on board to date as part of our coalition—and counting. We’re pleased to share more information about our supporter Family Values @ Work in today’s “Spotlight On…” post. These days, the lines between work life and family life are blurry at best. Family Values @ Work understands that there needs to be synchronicity between work and family, otherwise both stand to suffer and ultimately fail. A strong proponent of family-friendly workplaces, Family Values @ Work is a network of 23 state and local coalitions, built from over 2,000 grassroots organizations that advocate for people from all walks of life (e.g., seniors, restaurant workers, public health professionals, and more). Since its founding in 2003, Family Values @ Work has made significant strides in establishing new industry standards that are beneficial to workers and their families. Family Values @ Work coalitions have paved the way for paid sick days laws in 23 cities (including San Francisco, Seattle, New York City, Philadelphia, and Pittsburgh), 1 county, and 4 states, as well as family leave insurance laws in Rhode Island, California, and New Jersey—positively impacting more than 27 million workers nationwide. The work that Family Values @ Work does ensures no one has to choose between providing care for the family they love and risking the job and earnings they need to support their family. 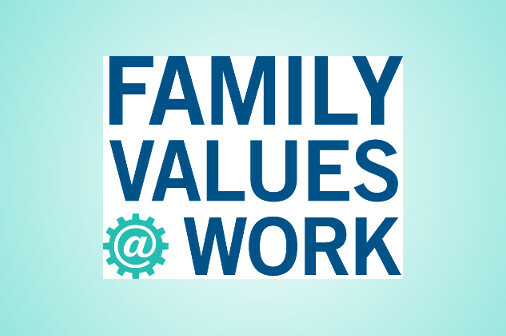 Ultimately, Family Values @ Work aims to make the workplace family-friendly for all.